So You Want To Know How To Get Results Fast? Less is often more. And spending less time working out may actually get you FASTER RESULTS. Too often we think we need to do MORE. But it isn’t about doing more or working out longer – it is about the QUALITY of our workout. If you’re spending hours in the gym, shortening your workouts to 45 or even 30 minutes may get you better results. Because the longer our workouts, generally the lower our intensity gets over the workout. Short, intense workouts where you can push hard the entire time can get you faster results and even kickstart your progress. Efficiency is key. Plus, even when you’re busy and stressed, it is way easier to stay on track and consistent with quick workouts you can do anywhere! Note I didn’t say crunch or ab intensive. I said CORE intensive. If you don’t work your core, you’re not going to get the results you want. Plain and simple. But that doesn’t mean doing a bazillion crunches. It means including compound exercises that work everything between your shoulders and your knees, down your frontside and your backside. These moves burn more calories, target the big muscles and strengthen your entire core! That’s why we use moves like the Bulldog Burpees, Bird Dog Push Ups, Sprinter Sit Ups and more! Seems like a duh right? But think about how many times you jump into eating well and working out without a plan. You just start DOING. And while action is important, undirected action can end in just a lot of wasted time. That is why having workouts and meals planned out is so important. You have a starting point and direction toward your goal. You aren’t just taking action for action’s sake. And a plan holds you accountable and doesn’t allow you to make excuses as easily. Think about how easy it is to slack off when your workout isn’t planned out and you’re tired. Think about how easy it is to grab the first piece of food available when healthy meals aren’t ready…Planning keeps you on track and moving forward…even when you may want to slack off! And the right plan makes things even easier by helping you get results faster so you remain motivated and moving forward. Because…guess what…Results snowball. 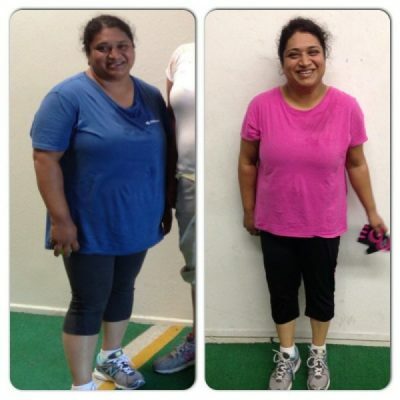 Nadika lost 6.6lbs and 2 inches for a total of 30lbs, 6 inches and 3 dress sizes lost! 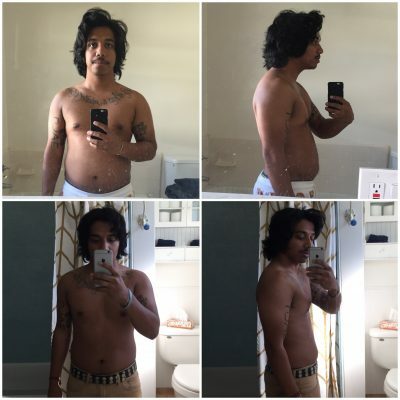 Zane lost 15lbs over the 21-day challenge to kickstart his routine. 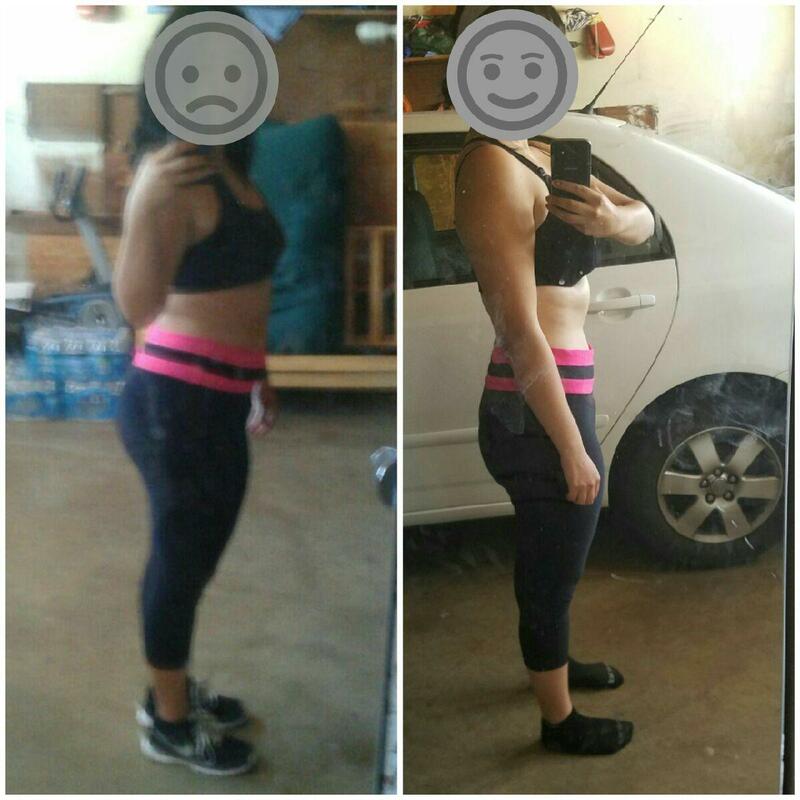 Bianka kickstarted over 20lbs of weight loss after years at a gym. 50% OFF my program using the 3 Keys To Getting Fast Results and helped Nadika, Zane and many more lose weight and inches! Join the Kickstart now and get 50% off. Get the Challenge for just $10.50 with code FASTRESULTS!